HANOI, Vietnam (AP) — Landslides due to rains from a tropical storm have killed 13 people and left four others missing in south-central Vietnam. A disaster official in Khanh Hoa province says some 600 soldiers have been mobilized to search for the missing and evacuate people from high-risk areas. 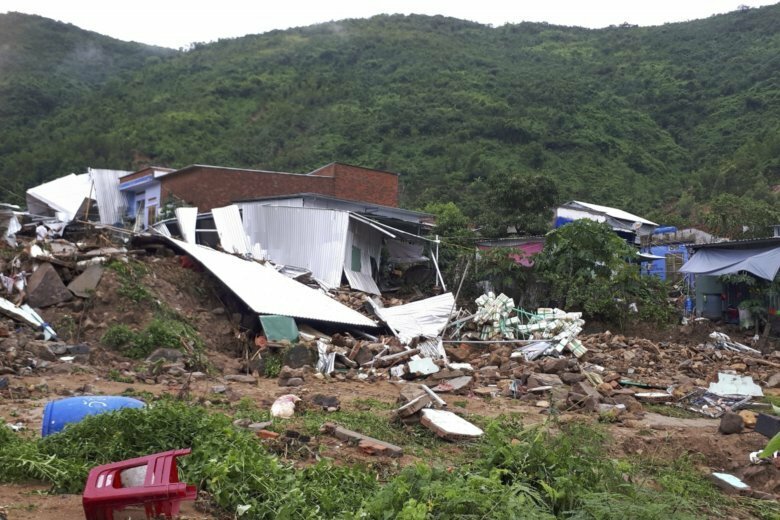 He said the landslides from heavy rains triggered by Tropical Storm Toraji collapsed several houses and buried the victims in some villages in the resort city of Nha Trang on Sunday. The storm weakened to a tropical depression at sea off the south central coastal province of Binh Thuan and Ninh Thuan on Sunday night, the Vietnam Disaster Management Authority said in a statement Monday. Vietnam is prone to floods and storms which kill hundreds of people each year.